Pumpkin Pie Spice Pancakes with Caramel Syrup are a sweet and yummy breakfast that is perfect for Fall mornings! When I think of Fall breakfast recipes, I think of a handful of flavors. Pumpkin and caramel are up at the top of my list! I had sweet potato pancakes once and loved them, so I thought I would try my hand at a pancake recipe using pumpkin! These Pumpkin Pie Spice Pancakes are amazing! They are moist with just the right amounts of pumpkin and pumpkin pie spice flavors. The Caramel Syrup sweetens the deal and makes them even more delicious! To get moist and fluffy pancakes, I use coffee creamer in this recipe. While I refuse to drink coffee without a generous serving of creamer, I am no stranger to using coffee creamer in recipes, as well! 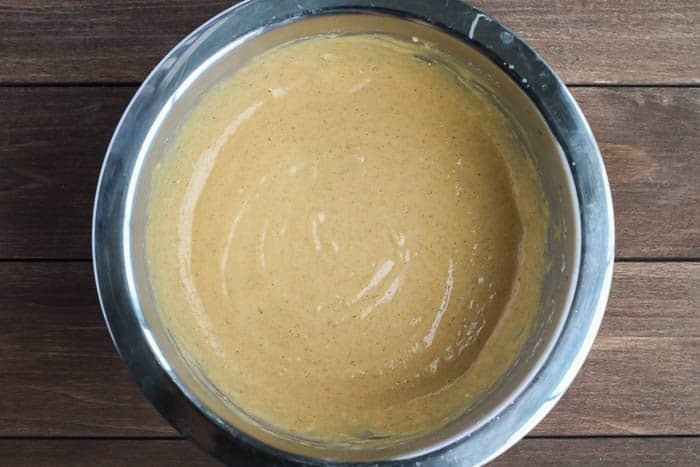 I love the way it makes baked goods moist and adds some sweetness and flavor to each recipe! This particular variety is my kind of creamer! It’s made with real sugar, milk, and cream. It’s extra creamy and extra flavorful! A hot cup of coffee is a must at breakfast! You will need to have all your ingredients out and ready to go, as well as a griddle to cook the pancakes on. The caramel syrup ahead of time, if you want. 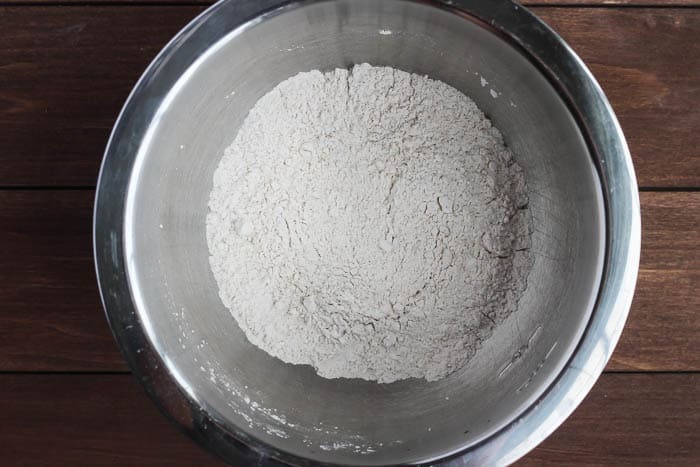 In a medium bowl, mix together the flour, brown sugar, pumpkin pie spice, baking powder, and salt. Add in the pumpkin puree, creamer, egg, and butter. Whisk until just combined. 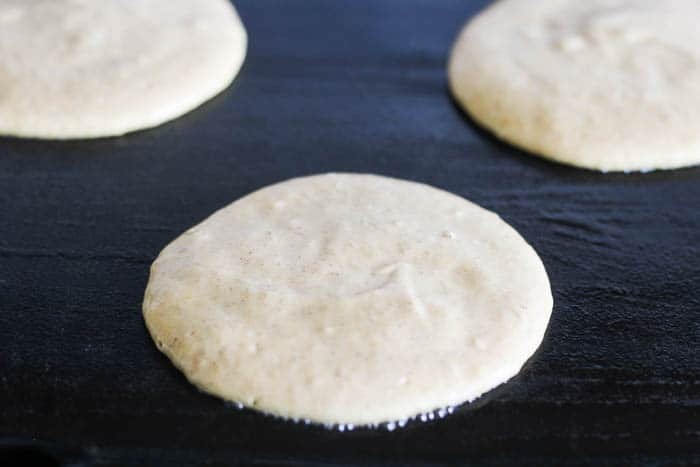 Heat a griddle to 350 degrees F. Scoop out about 1/4 Cup of the batter for each pancake. Cook until bubbles appear on top, then flip and cook an additional 1-2 minutes until golden and cooked through. To make the Caramel Syrup, combine the sugar and water in a medium saucepan. Heat over medium heat, whisking until the sugar is fully dissolved. Continue to let cook over medium heat, swirling (not stirring) the pan as needed until the sugar is an amber color, about 6-8 minutes. Add the heavy cream, stirring constantly. Reduce the heat to low and continue to stir until the temperature reaches about 220 degrees F. If you heat it to a higher temperature, this will result in a thicker syrup and may not be as pourable. Plate your Pumpkin Pie Spice Pancakes and top with the Caramel Syrup. Add some pecans, or other nuts, if desired. Add in the pumpkin puree, Dunkin’ Donuts® Extra Extra Creamer, egg, and butter. Whisk until just combined. Heat a griddle to 350 degrees F. Scoop out about 1/4 Cup of the batter for each pancake. Cook until bubbles appear on top, then flip and cook an additional 1-2 minutes until golden and cooked through. Combine the sugar and water in a medium saucepan. Heat over medium heat, whisking until the sugar is fully dissolved. Add the heavy cream, stirring constantly. 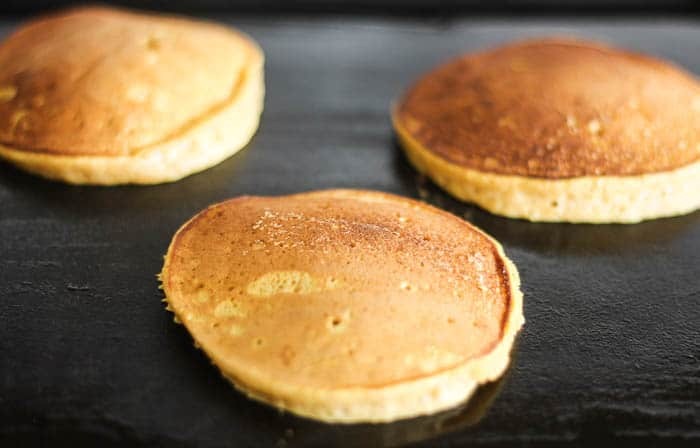 Reduce the heat to low and continue to stir until the temperature reaches about 220 degrees F. If you heat it to a higher temperature, this will result in a thicker syrup and may not be as pourable. Serve on top of the Pumpkin Pie Spice Pancakes. * The Caramel Syrup can be made ahead of time, but may require reheating before serving. ** Nutritional information is an estimate and will may vary. Pumpkin Pie Spice Pancakes with Caramel Syrup? Sign me up love pancakes and pumpkin so I would devore this with a nice cup of coffee yummy! All the exotic spice mixes that are very popular in fall somehow make me love fall. These pancakes look so pretty. I love pumpkin spice so its’ going to be a big winner in our home. And the caramel… yum.. These sound delicious. I will definitely have to make these for the fall! My kids would love these. These look delicious! A great way to get a bit of the hair of the dog after a night of trick or treating and sugar buzzes! Oh these pancakes look divine! What a fun treat in the morning. These are screaming fall and winter weekend breakfasts! I need to make a batch of them soon. That syrup?! Perfection! In my opinion fall is simply the best season of all. I love ANYTHING pumpkin. I’ve got a few friends coming here for breakfast tomorrow morning, so I’ll be making these pumpkin pancakes for everyone. THANKS! Awesome! I hope everyone loves them! !